In Orwell’s novel, 1984, “blackwhite” referred to the usage of a word with the understanding that it meant its opposite. Thus, when the leaders spoke of peace, everyone understood them to mean war, and it is sometimes the same with theater. When one says Absolute Brightness everyone should understand that we are talking about a Very Dark play indeed. The Florida Studio Theatre’s production of The Absolute Brightness of Leonard Pelkey is a case in point: in the New York Times review of the play, Charles Isherwood believed that the brutal murder of a 14 year-old boy would leave you beaming with joy. This play by James Lecesne does not glorify murder or other horrors, but rather uses them, with a very noir bent, to help us to understand more about ourselves and our relationships, in a comedic way. In another stretching of terms, this is not a one person play, but rather a play with twelve characters that are all played by the same actor. 12 to 1 is a great role per actor ration and certainly keeps down production costs, but it also permits the actor to get into the heads of all those that he plays. Sort of like a person with a multiple personality disorder telling one story from 12 different angles. Action takes place in the urban portions of New Jersey, home to Bruce Springsteen and Governor Chris Christie. A ten year old case file rises to the surface in the mind of a Guy Noir-ish detective named Chuck DeSantis, and the action begins. As the relationships spin and the characters twirl, we meet all those who revolved about Leonard – his supposed aunt, her daughter, a mob widow, and those who bullied him (Chris Christie was not involved in this particular escapade). A key to Leonard’s persona is that when he disappeared he was wearing a pair of rainbow-colored platform sneakers that he'd made himself by gluing half a dozen flip-flops to the bottom of his Converse high-tops. Kate Alexander, who has directed many of FST’s great plays, is at the helm of Absolute Brightness. Jeffrey Plunkett, who has appeared in the films Millennium Crisis and Alien Uprising, takes on all the roles in these performances – which are scheduled for July 5th thru August 6th at the Keating Theater on 1st Street. As performance times vary for evenings and matinees please check out the full schedule at floridastudiotheatre.org. When the children got a bit too rowdy one summer, the good people of Hamlin hired a pied piper to get them all out of town (or so one version of that tale goes). How to calm down the children of Sarasota without taking them to some alternative universe? Try a bit of entertainment. It may not give them an out-of-body experience but it might give you a they’re-out-of-the-house experience, which could be just as satisfying for all concerned. A four week long summer camp (July 10th – August 4th) is being held at The Players Center for the Performing Arts for those between the ages of 8 and 17. The culmination of this activity will be their performance of Madagascar Jr. at 7:00 PM on August 4th: everyone is invited. There are also a number of one week sessions where the young ones will play themed characters (pirates and mermaids, Vampires and Zombies, Star Wars, Superheroes, etc.) Please see www.theplayers.org/studio/#tab-players_kids for details. Are toddlers and preschoolers your concern? If so, then the Ringling Museum’s ROAR! program is ready to come to your rescue. The Ringling Order of Art Readers is being held on June 30th, July 7th and July 14th (all beginning at 10:30 AM) and is designed to engage those between 4 and 7 in activities that connect art with early literacy – good stories with great art and activities. On July 3, 10, 17 and 24, there is also Museum of Art Mondays, with a special art making program, from 11 AM until 2 PM, that is tied to the art on display in the museum’s galleries. 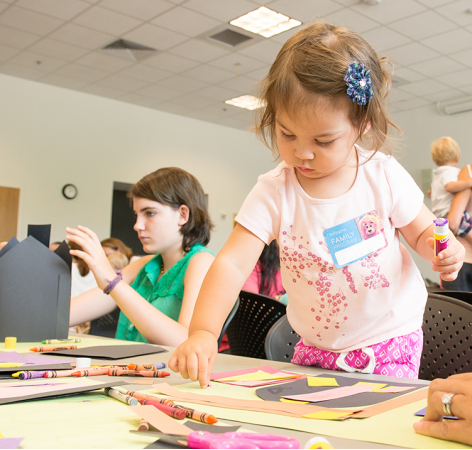 Visit the Ringling on July 15th for Family Day which celebrates the special exhibition now on view – Skyway! This show features art from Hillsborough, Manatee, Pinellas and Sarasota counties and was put together by curators from the Museum of Fine Arts, St. Petersburg; the Tampa Museum of Art; and the Ringling Museum of Art. Stop by the Ringling’s visitors center for exact locations and view more at www.ringling.org/kids-families. There is also a great children’s playground near Mable’s Rose Garden. Want lots of different shows for kids all under one name at one location? Take them to see Just For Laughs, which is a kind of improv for kids (yes, of all ages). They take place at Florida Studio Theatre on each Thursday and Friday from June 29th thru July 28th at 9:45 AM, 11:30 AM and 1:30 PM. The cast will perform scenes, make up songs, and tell stories that will be appropriate for all ages (4 and up). No two shows will be alike. If your kids are daring enough, they can go up on stage and join in the fun. Check this out at www.floridastudiotheatre.org/just-laughs. No, more like eight left feet and seven right feet, or something like that. Yes, Sarasota Contemporary Dance is doing its summer thing and you can join in. First by watching – and enjoying. A three session series entitled Timeline is being performed at the New College of Florida’s Black Box Theater (5850 General Dougher Place) at 7 PM on July 20th and 21st and at 2 PM on July 23rd. It features a new work choreographed by the troupe’s artistic director Leymis Bolaños Wilmott. This riveting solo is based on the life of Stephanie Bastos, who performs the dance with the aid of a prosthetic leg. A different set of performances titled ‘In the Round is set for 2 and 7 PM (also in the Black Box) on July 29th where four choreographers from the SCD Summer Dance Intensive will join SCD members in performing in an intimate setting. And a performance of SCD Dance Repertory Showing is scheduled for the 27th at New College’s College Hall at 2:30 PM. Want to not just watch but also to learn more about contemporary dance by going Behind the Curtain with two of America’s up and coming choreographers? Millicent Johnnie will be discussing Urban Technique on July 26th and Rosanna Tavarez discusses Countertechnique on the 27th. Both classes are at 11:30 AM and are at College Hall. Ms. Johnnie worked on the choreography for the musical Rent and recently on the new Broadway version of Disney’s Frozen. Ms. Tavarez is one of only six certified countertechnique teachers in the US. First there’s watching, then learning and now, finally, doing. There is a SCD Kids and Juniors program from July 10th – 14th as well as programs for all ages and abilities during the summer and throughout the entire year. There is much to check out at www.sarasotacontemporarydance.org.